Savory and delicious, this dish has all the bold flavors we love–tender crab, briny eggs, springy noodles and vegetables plus it’s a cinch to make with this no-fail recipe. 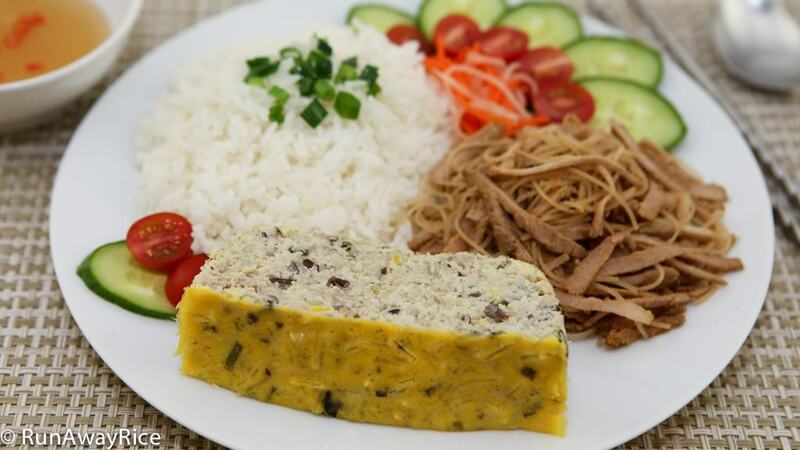 What can be better than a hearty meatloaf dish for those busy nights when you need a hot and tasty dish that is easy to prepare and cook? Steaming the meatloaf keeps it super-moist and requires little fussing. Give this recipe a try. It’s guaranteed to be a winner! Substitute crab for any seafood you like such as fish, shrimp, scallops, lobster, etc or use a seafood combination. As the salted egg yolks are solid, make sure to break up into small pieces. 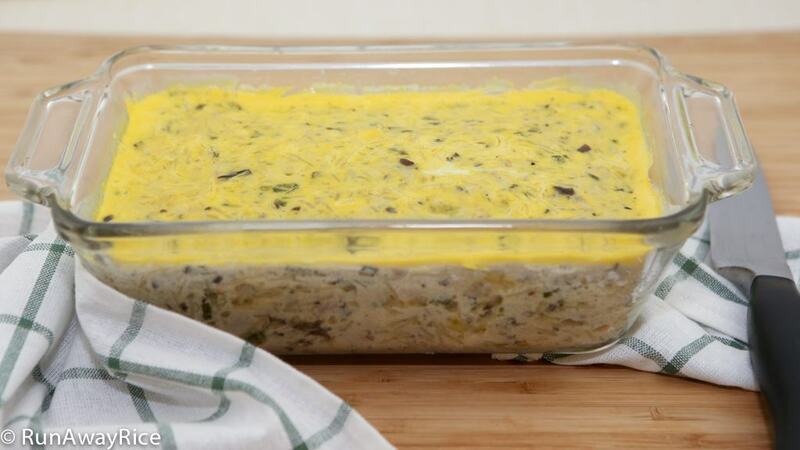 You don’t want big chunks of the yolks in the meatloaf as it is pretty salty. 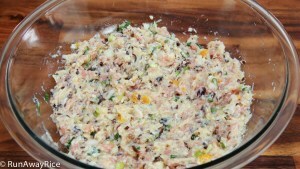 Optionally, mash the yolks in a separate bowl using a fork, then add to the meatloaf mixture and combine. (Note: I only use the salted egg yolks and not the entire salted eggs. The egg whites are super-salty and that’s why I don’t add to the meatloaf mixture.) If you really love the saltiness, add 1 more salted egg yolk. I am using a 9″ x 5″ loaf pan and the steam time is 40 minutes. The steaming time varies depending on the size of the pan used. 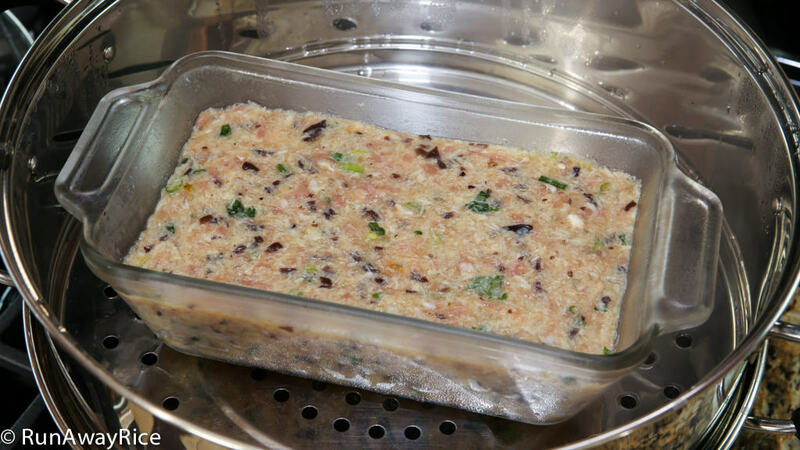 Test for doneness by inserting a toothpick into the meatloaf and checking that it is clean. 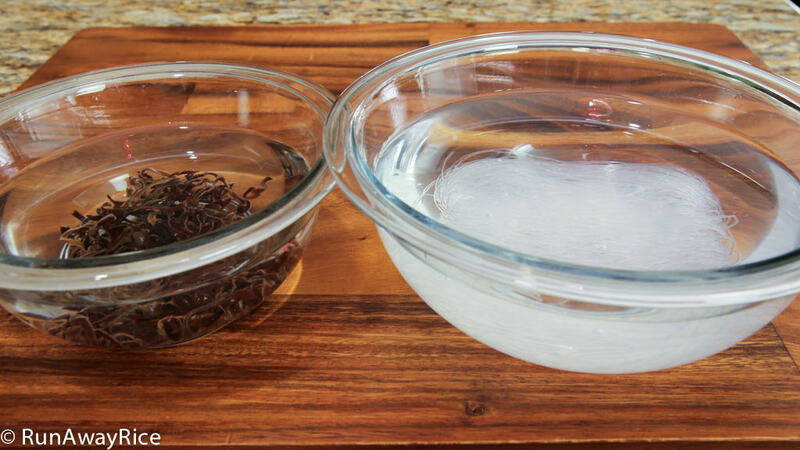 Soak the black fungus slivers and bean thread noodle in separate bowls of warm water for 10 minutes. Rinse and drain the mushrooms and then finely chop. Drain the noodles and use scissors to cut into small pieces. Finely chop the onion and green onions. Separate 2 egg yolks and set aside in a small bowl for later. (This is used to brush the top of the meatloaf later.) Place the 2 egg whites into a separate bowl. Add the remaining 3 whole eggs to this bowl. In a large bowl, add the mushrooms, noodles, onion, green onions, 5 egg whites + 3 egg yolks, crab meat, ground pork, salted egg yolks, minced garlic, vegetable oil, fish sauce, oyster sauce and ground black pepper. Combine all of the ingredients really well. Coat a loaf pan with non-stick cooking spray. Transfer the meatloaf mixture into the greased loaf pan. Spread out the mixture evenly and smooth the top. Fill a large steamer basin 2/3 full with water. Cover and bring to a boil over High heat. Reduce the heat to Medium. Place the meatloaf into the steamer and steam for 40 minutes. 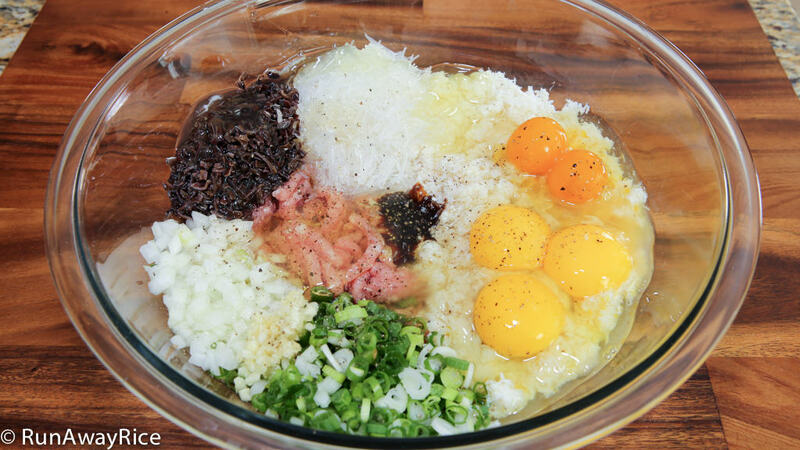 Brush the egg yolk mixture on top of the meatloaf. Steam for another 5 minutes or until the egg yolks are golden. Remove from the steamer and serve while hot. Amazingly simple and organized instructions! The measurements are logical and easy to remember. Chi Trang oi, I don’t have salted egg. Can I skip it? Yes, if you don’t have the salted eggs you can skip it. Enjoy the recipe! I made it without the salted egg but it was yummy! Thank you! Glad you enjoyed the recipe Ann! Hi Trang, thanks for sharing a crab cake I just made it today so yummy.